Get ready to Pick One ! It’s easy to play, but hard to master! You can test your skills for hours and hours in this addictive and awesome game! 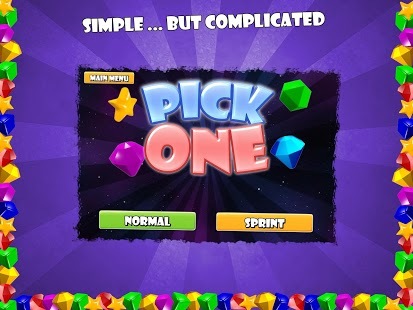 Pick the right answer in multiple difficulty levels and prove to the world that you are NUMBER 1! Sprint mode – show us your speed and prove that you are the fastest player on the earth in just 90 seconds challenge time!